Dale Frimodt is the founder and executive director of Barnabas Ministries. He is a graduate of Grace Bible Institute in Omaha. 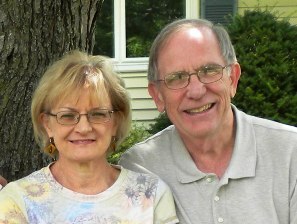 After nine years on the staff of Campus Crusade for Christ, Dale began Barnabas Ministries in 1977 and has since been providing encouragement, counseling and consulting for leaders in ministry. His wife, Marlene, is the administrator for Barnabas Ministries and serves alongside in a variety of roles. She also was on the staff of Campus Crusade for Christ and brings ministry experience both in the U.S. and overseas. Give us a call. We’d be happy to talk with you about the things you’re facing and help you find the resources to restore your hope and find freedom to serve the God who has called you.